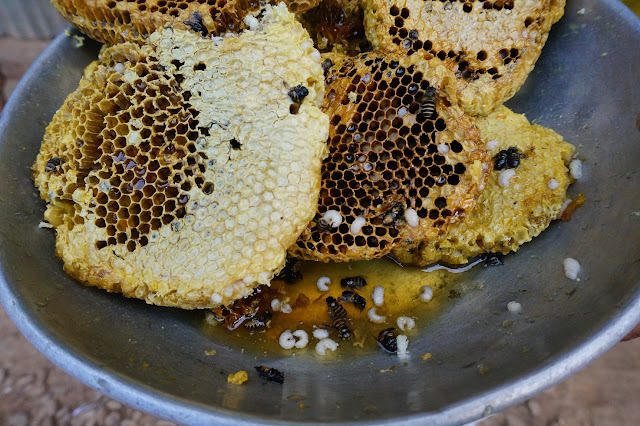 Everyone loves honey but have you tried eating a honeycomb? How about a honeycomb with larvae?! That was the first time I did it. But the maggot-like creatures didn't bother me that much. I mean nothing could get any more authentic than that. I was just feeling my tongue for itchiness because I was worried that I had some undiscovered allergy to beeswax or bee larvae. The place was three hours away from the nearest clinic. Okay you may have passed the larvae challenge but what if I told you that this honey could have been harvested from the most repulsive of places!